All ConMlCO custom pump systems feature only brand-name assembly components such as WEG, Lincoln and Westinghouse power plants and Hammelman high pressure pumps. 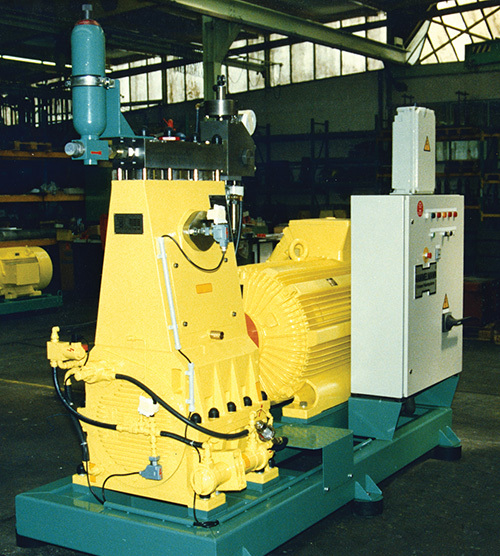 Custom designed high pressure pump systems are available up to 36,000 psi (248 MPa). 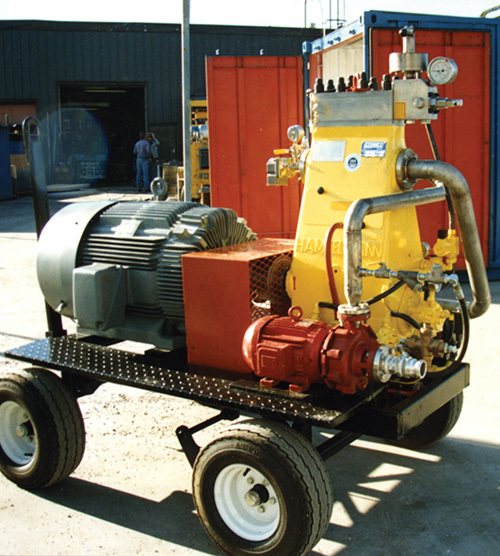 An electric powered, highly transportable pump system producing an output capacity of 10 GPM (US) @ 10,000 psi. This system is used by utility companies in nuclear power plant installations to decontaminate reactor tools. 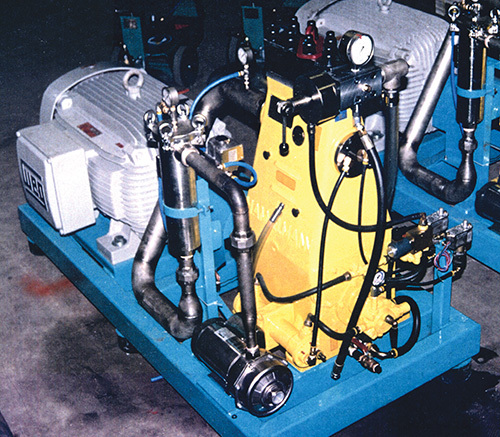 A portable pump system used extensively in the mining and construction industries to power jack-leg drill equipment as an alternative to pneumatic or hydraulic powered systems. It features a high-pressure and high-volume output rated a 36 GPM (US) @ 3,000 psi. 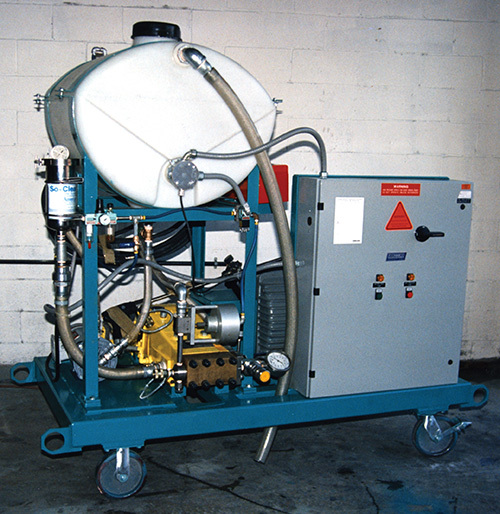 An electric powered, easily transportable pump system producing an output capacity of 14 GPM (US) @ 10,000 psi. This system is used by several utility companies in nuclear power plant installations to decontaminate reactor tools. 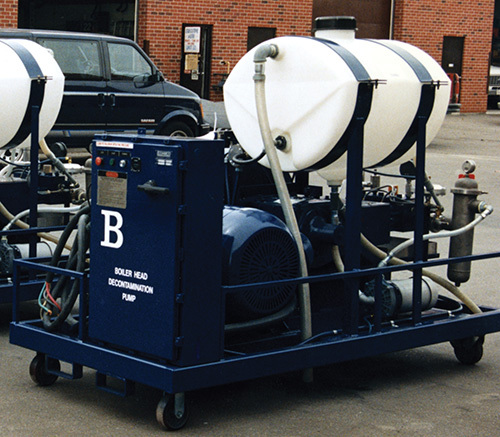 A heavy-duty, high capacity pump system used in many automotive installations as a central feed source for paint removal and cleaning systems. 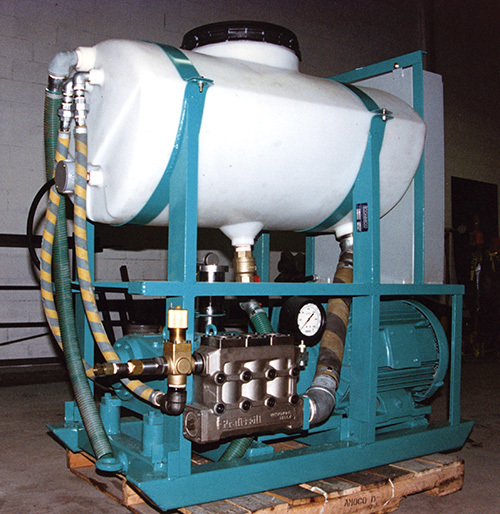 Mounted on a structural steel frame with vibration isolation pad design — the 200 HP electric motor and pump assembly is capable of delivering28 GPM (US) @ 11,000 psi pressure. The perfect pump solution where both performance and space is a consideration. This wagon mounted pump system is highly maneuverable in tight spaces and its 200 HP electric motor delivers 28 GPM (US) @ 11,000 psi. The model is a favorite of automotive assembly and finishing plants for general cleanup, paint removal, grate and paint booth maintenance. A permanently mounted central supply system commonly found in chemical plants for reactor tank cleaning. Its 300 HP power system can deliver 40 GPM (US) @ 10,000 psi. Constructed on a heavy duty steel frame and equipped with multiple isolation pads for minimum vibration transfer throughout the installation area.